Most people see off-roading as something simple. You just take the vehicle and go off-road, right? Wrong! Having the best SUV is usually really important and will change the entire experience, just like a speedster will be totally different than a family car. If you want to buy the best off-road SUVs, you will notice that this is highly subjective. Different sites will talk about different vehicles and we also have some that are sponsored by different manufacturers so they are not actually objective. We took a look at the best SUVs on the market and took into account what professional reviews say and what owners say. That is what helped us to pick 3 vehicles that we see as the best off-road SUVs of the moment. Although launched around 2 years ago, this SUV is still the talk of the town. It is road legal and has a top speed of an impressive 131 mph. If you want to put your hands on it, you will need to order it since it is not available in local car dealerships. The market for this vehicle is so strict that it would not sell anyway. Local motors managed to achieve what is true, unique engineering, a steel space frame that is combined with a crash cage in order to offer as much protection as possible. 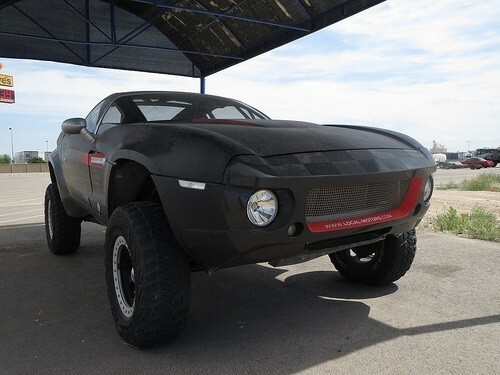 Rally Fighter looks incredible and it is bound to turn heads both on the streets and off them. That is, if you can afford the $100,000 price tag. This best off-road SUV is even more expensive than Rally Fighter with a price tag of $285,000. The SUV is basically a street-legal version of the EXR model that won the Dakar. 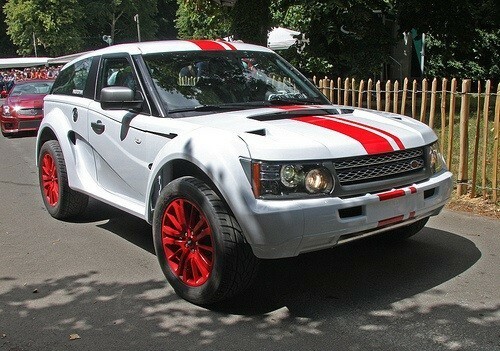 It is based n some different Land Rover parts but on the whole, we talk about a vehicle with 550 horsepower. Even if you will drive it on dirt, it is capable of reaching 60 miles per hour in a little over 4 seconds. The nifty price tag is warranted because of the fact that every single part used is of the highest quality. You will surely love everything that the Bowler EXR-S has to offer. Wrangler stands out as a true mark in the SUV market. When referring to off-road vehicles, it is impossible not to think about Wrangler and the number of improvements that were made to the SUV since 2011 make it one of the best off-road SUVs of the moment. The brand new engine that is included is the one that you will like. It sums up to 285 hp and the fuel efficiency is of 21 mph. It is definitely an improvement when thinking about the 2011 version while the design also got a small but noticeable facelift. We understand that there are many other vehicles that can be considered for the list of the best off-road SUVs but these 3 are the ones that we truly see as the best at the moment. Let us know if you agree and if we missed something, we would love to hear about it.